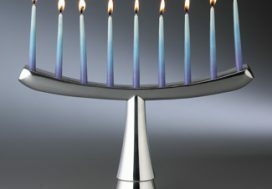 The start of Hanukkah in 2014 is quickly approaching, and Philadelphia restaurants, museums and attractions are more than prepared to celebrate the Festival of Lights with a plethora of holiday celebrations. To help you celebrate from the lighting of the first candle on Tuesday, December 16 through the end of the holiday on the evening of Wednesday, December 24, we’ve compiled a list of Hanukkah festivities, below. Whether you’re looking for a night of laughs, a fine meal or a festive family event, there’s something for you. Plus, for even more Hanukkah celebrations, check out the Jewish Exponent for religious and community celebrations throughout the holiday. Read on for our picks for Hanukkah celebrations in and around Philadelphia. Wednesday, December 24, 6 p.m., Ocean Harbor Restaurant, 1023 Race Street. While celebrants across the country gather on December 24 to deck the halls, going out to the movies and a Chinese meal has become a veritable Christmas tradition for Jewish revelers. Building off of that idea, comedian Cory Kahaney created The Moo Shu Jew Show. For seven years now, this holiday event has given audiences a live alternative to Hollywood blockbusters and long waits for dim sum. Tickets, $69 in advance and $80 at the door, are available online. Friday, December 19, 5-8:45 p.m., Philadelphia Museum of Art, 2600 Benjamin Franklin Parkway.The museum’s weekly Art After 5 soiree celebrates Hanukkah with music from DeLeon, a New York-based band that plays contemporary Sephardic folk music. The event is co-presented in partnership with Temple University’s Feinstein Center for American Jewish History and the “Sounds Jewish” series. More events and dinners, below. Tuesday, December 23, 18th and Walnut streets, 6 p.m.; Ethical Society, 1906 Rittenhouse Square, 4:30 p.m. 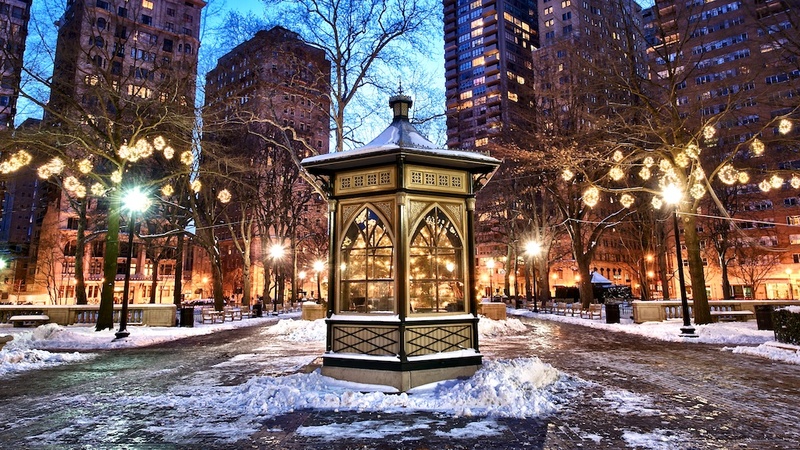 The annual lighting of the menorah in Rittenhouse Square is set for Tuesday, December 23 at 6 p.m. As dusk settles over the park, prayers will be sung and the first candle will be lit on one of the city’s largest menorahs. Before the lighting, join in the Community Chanukah Party at the Ethical Society at 4:30 p.m. Families can enjoy latkes, donuts and dreidels, as well as a magic show for $5 donation. Thursday, December 25. 10 a.m.-5 p.m., National Museum of American Jewish History, 101 S. Independence Mall East. The annual Being [ ] at Christmas event is perfect for anyone who looking for a little family-friendly and non-denominational fun on Christmas Day. Local businesses and entertainers will be in attendance to keep families amused all day with live music, crafts, comedy and more. December 16-24, Federal Donuts locations at 1632 Sansom Street and 701 N. Seventh Street. This year, Zahav isn’t the only Solomonov spot to get in on the Hanukkah celebrations. Federal Donuts debuts its first-ever holiday-specific donuts this year with honey-dipped mini donuts with raspberry jam. The little treats are available via pre-order only (20 minis for $15), with pickup at the 1632 Sansom Street or 701 N. Seventh Street stores only. Tuesday, December 23, 6 and 9 p.m., Zahav, 237 St. James Place. Now in its fifth year, Zahav’s A Very Jewish Christmas celebrates in the grand Jewish tradition with Israeli-inflected Chinese food and movies shown on a big screen. Seating’s are available at both 6 and 9 p.m., and the event is $75 per person, which includes tons of dim sum, the movie, tax and gratuity. Tickets are on sale online. Wednesday, December 17 and Thursday, December 18. Sbraga, 440 S. Broad Street. Chef Kevin Sbraga presents a sumptuous six-course Hanukkah dinner at his eponymous Avenue of the Arts restaurant. The Hanukkah menu will be available on Wednesday, December 17 and Thursday, December 18, and runs $75, with an optional $50 beverage pairing. December 16-24, London Grill, 2301 Fairmount Avenue. London Grill celebrates the Festival of Lights with eight days that will keep your stomach full of latkes. The Eight Days of Latkes and Lights event will begin on Tuesday, December 16 and provide guests with eight days of latkes of all kinds. Think latkes topped with beet horseradish cream, smoked fish and caviar. Also during this event, there will be a daily candle lighting at 5:30 p.m. Fun!